Enterprise quality Microsoft Exchange hosted email solutions. Access business c ritical communications any time, anywhere with any device - Feature rich enterprise grade Hosted Exchange platform comes packed with all the functionalities you expect from an email solution. So why choose iomart? 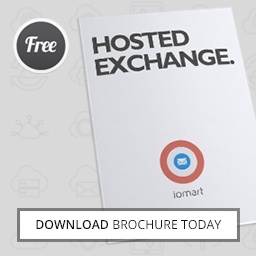 Hosted within iomart’s own data centre infrastructure means our Hosted Exchange service is backed by industry leading Service Level Agreements and operates on hardware from the world’s leading suppliers.